Lauren McGinley is General Counsel & Secretary of Noblis, a nonprofit science, technology, and strategy organization that helps clients solve complex scientific, systems, process, and infrastructure problems in ways that benefit the public. Mrs. McGinley has responsibility for all legal matters and corporate secretary duties within the Corporation including corporate governance, corporate transactions, tax compliance, intellectual property, litigation management, employment issues and real estate. Mrs. McGinley joined Noblis in 2012 as Deputy General Counsel and Deputy Compliance Officer. In this role, she helped manage and oversee the Noblis ethics and compliance programs including conducting training and investigations. 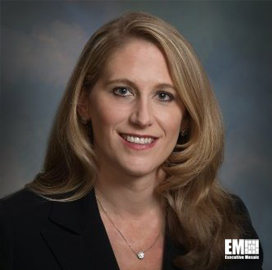 Prior to working at Noblis, Mrs. McGinley was Associate General Counsel for EADS North America, the U.S. operations of the second largest aerospace and defense contractor in the world. While at EADS North America, she was responsible for all U.S. mergers and acquisitions activity, in addition to managing legal issues related to employment and employee benefits, real estate, government and commercial contracting. Lauren McGinley: A recent NDIA article by Jon Harper did a nice job analyzing certain characteristics of DoD’s own tried and true acquisition process that are undermining their initiative to engage more with the private sector, in particular with commercial companies in Silicon Valley. Of particular note was the reputation of Government acquisition as being slow and overburdened with regulations and requirements not typical of commercial contracting. To its credit the Government has encouraged the use of OTAs to speed the acquisition process but that authority is not being consistently used by the acquisition workforce. Eliminating ambiguity surrounding the proper delegation of authority for using OTAs by clearly communicating this to the contracting officers would help remove this barrier. Next, in the specific case of Silicon Valley where intellectual property is sacrosanct the Government is hindered by its traditional approach to data rights. To encourage commercial companies to share their ideas and innovations, the Government should relax its requirement to obtain full disclosures of proprietary methods in proposals and deliverables and give up or modify its right to obtain unlimited rights or GPR in certain technologies regardless of the funding source. Finally, the Government should not lose sight of its traditional contracting base and the extent to which they could be involved in funneling more commercial technologies to the Government from companies not equipped to contract directly with them.